Online ordering menu for Tony Soprano's. If you're looking for authentic Italian cuisine and pizza then you've come to the right place. 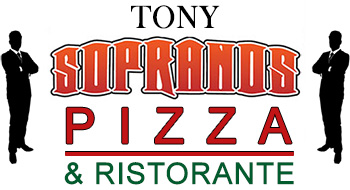 Here at Tony Soprano's in Cherry Hill, New Jersey we serve pizza, salads, pasta, steak, and more! Don't forget to try our crab cakes, Pizza Burger, or the Buffalo Wings! We're between Kaighns Avenue and Marlton Pike on Haddonfield Road. We're near AMC Loews Cherry Hill 24 and Cherry Hill West High School. Order online for carryout or delivery!